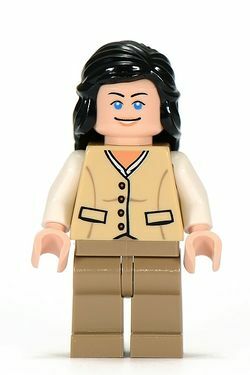 Marion Ravenwood was Indy's sidekick and part-time girlfriend. She was the daughter of archaeologist Abner Ravenwood and the wife of Colin Williams, and later, Indiana Jones, with whom she had a son, Henry III or "Mutt". In Raiders of the Lost Ark, Indiana and she worked together to find the Ark of the Covenant, ending up trapped together in the snake-filled Well of Souls. She is later reseen in Kingdom of the Crystal Skull, with her and Indy's son, Mutt Williams. Marion again encountered Jones when he and Mutt were also captured by the Russian Soldiers. She accompanied Indy, his partner George McHale (A.K.A Mac), and Mutt into a South American rainforest and Inca temple in a search for the Crystal Skull. Marion has appeared widely in the Indiana Jones video games. She is the only one of Indy's love interests to appear in two movies. She marries Indy in Kingdom of the Crystal Skull. This page was last edited on 10 May 2016, at 01:13.